The World Confluence of Humanity, Power and Spirituality is being held every year with great success since 2010. So far 11 confluences were held, 6th-10th January, 2010, 2nd-4th January, 2011, 22nd-23rd December, 2012, 2nd-4th January, 2012, 28th- 29th December, 2013, 27th-28th December, 2014, in Kolkata, 22nd-23rd December, 2015, in New Delhi, 7th May, 2016, in Mumbai, 16th-17th December, 2016, in New Delhi ,22nd-23rd December, 2017 and 21st-22nd December, 2018 in Kolkata. This programme is the first of its kind in the world with a conglomeration of important issues on humanity, power (inner & outer) and spirituality. Several distinguished luminaries whose hearts echo the humanity from different communities and religions across the world, shared their views that every religion propagates service to humanity, and that moral and social principles have its own paths leading to one cosmic reality. Various religions are like flowers of different colors to be tied with a cord of love into a beautiful bouquet to be offered at the altar of truth. Diversity with unity is inherent in nature. 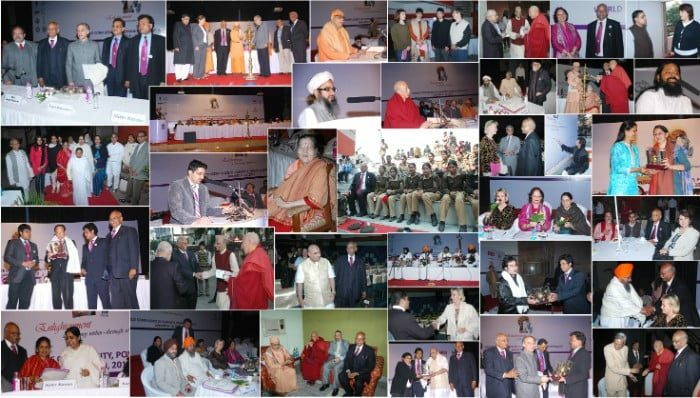 This is a spectacular confluence where all streams of thought converge irrespective of religious persuasion, inclusive of all disciplines whether belonging to science or humanities, sacred or secular, social or cultural, political or economic, where distinguished luminaries share their thoughts and life’s experiences, highlighting unity in diversity and diversity in unity. It remains the task of this conference to bring home the values of enlightenment in practice as life’s journey within one’s own self, and through love and service to the society at large. 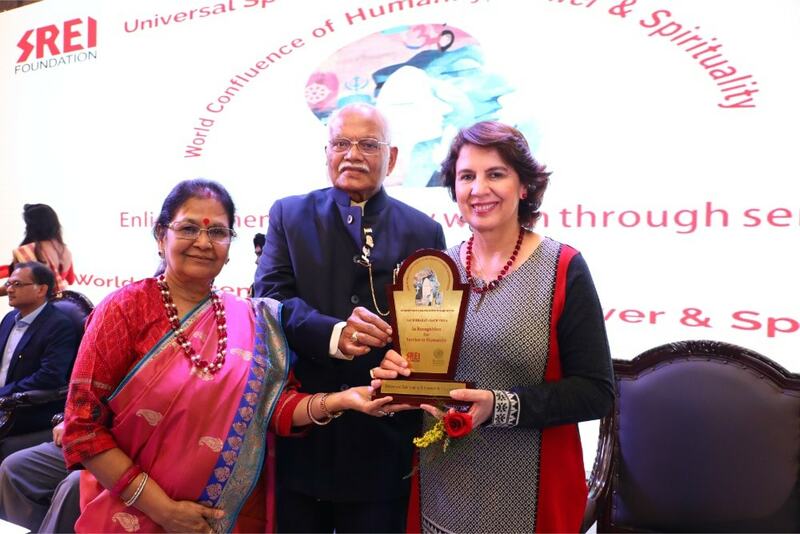 The World Confluence accords a special place to women who are a source of inspiration, love and selfless services. He said that women have great abilities and a great role to play in the world’s advancement, which also finds voice in the UN Millennium Goals to which we are committed. They are the architects of the future generation. The world will be happy if they are happy. Children and youth are the future of the country and their consciousness has to be transformed through spiritual alchemy to gain inner power so as to cope with life’s challenges with faith in self and the creator, and to serve humanity. The positive energy has to be aroused to maintain life’s balance by having faith in self, creator and service. To inspire the youth, the confluence program included on the margin interschool debate, sit-and-draw and essay writing competitions related to service to humanity amongst different age groups followed by prize distribution. To recognize the best practice and to motivate organizations we also gave the “Sach Bharat Samman” to three organizations. These were selected through a panel of eminent jury members and Ernst & Young was the process partner for this Award. To live and let live in peace, harmony, love – following the path of righteousness protecting Mother Earth. Having faith in own religion while respecting other religions. Awakening the inner power & ignite human power. A world with happiness, peace, harmony, austerity, simplicity, prosperity & good health for all. Trinity of Power (money, authority, muscles) to be imbibed with Humanity & Spirituality. Economic growth in synchronisation with human facet. Awakening woman power – reflecting God’s love. The ‘logo’ signifies folding of hands in prayer and salutation to the almighty God in order to awaken the infinite in their manifested souls. The various religious symbols denote that the ultimate goal for humanity is to invoke the inner infinite power within us. This realization arises when humans go through different adventures in life. 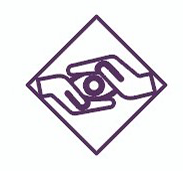 The logo, through its different representations, serves humanity by making them aware that the final aim for all human beings is the path to enlightenment. We, thy children, love thee and our parents. Thou art in our hearts and minds, And make us fearless. Thou art alone the truth. Love and service that matter, all worship to Thee. No one but us to blame. Lead us through paths of trouble to perfection. O God! never turn away from us, Thy children. Work, work, for the world. We are the children of God; we are all equal in His eyes. We are the infinite, perfect, immortal children. We have oceanic power and wisdom. The infinite library of the Universe is our own mind. I am a spirit living in a body. Spirituality balances the trinity of power, money and authority. Spirituality awakens inner power. It connects God in our heart and mind. Spirituality serves the purpose of supporting the moral and social principles which have made men civilized. It strengthens you for the joyous adventure called life. Your spiritual manifestations will always glorify whatever you do. A spiritually grown up person does not miss worldly pleasures. He has abundance of divine bliss too. Swami Vivekananda said, “Spirituality manifests divinity within you. It is the vision of one’s own self in all beings. Change yourself; the world will change. You are the cause of everything that happens to you. We are the product of our own thoughts and desires. We are our own architect. All of us are the children of God. All possess an immortal soul and are the sharer of immortal bliss. The soul does not have a gender. Women are reflections of divine love. Swami Vivekananda said that if you do not respect women, the living embodiment of the divine mother, do not think that you have other ways to rise. A mother is the first guru of a child. Many enlightened souls like Saint Tulsidas were inspired by women. Women have the capability to acquire the spirit of heroism. In the present day, it is necessary for them to learn self defense and heroism. We all possess within us the seed of spiritual fruition. We must nurture and foster it. Let noble thoughts come to us from everywhere. We believe in “Vasudhaia Kutumbakam”, which means the world is one family. In today’s day and time, everything seems to be going wrong, topsy-turvy and chaotic. This results in stress and mental agony. It is also a call to ourselves to internalize. The process of internalization, engaging in introspection, awakening the latent resilience within, are all very simply stated as spiritual incandescence. When one attends the confluence on spirituality, humanity and power, the experiences and deeply researched scriptures of the dignitaries, internalizes one with those thoughts and words. It transports us from a chaotic internal world to a peaceful realm of infinite strength. I pray to that Supreme Being to give us the wisdom to continue to organise this confluence every year and may each year benefit larger number of people, both participants and speakers in their pursuit of self-awareness. When I reflect on the root cause behind all the corruption and moral decay in our society, the only possible explanation that I can think of is a singular lack of spirituality and self-righteousness amongst the masses. The lure of material success in a competitive world sometimes becomes so strong that it overpowers one’s senses and makes him blind to what is right and what is wrong. It is spiritualism that can help him stick to the path of righteousness. Spiritualism is an opening towards self-consciousness. Spiritualism can help one remain connected to himself and not waver from the right path in search of success and pleasure. Spiritualism can help one to get rid of prejudices, biases, or subjectivity. Ancient India used to be known as the abode of great philosophers and teachers, India was the haven of vast wisdom and great learning, and people from all over the world used to travel all the way to India to learn from us. Ironically, how many of us today practice spiritualism? Perhaps we, as a nation, have somehow failed in passing on the great learnings from our rich heritage to the future generation. In this backdrop, the organizing of the annual Confluence of Humanity, Power & Spirituality is indeed a commendable initiative. In its fourth year, this event has become an important fixture in India’s ‘Spirituality Calendar’. 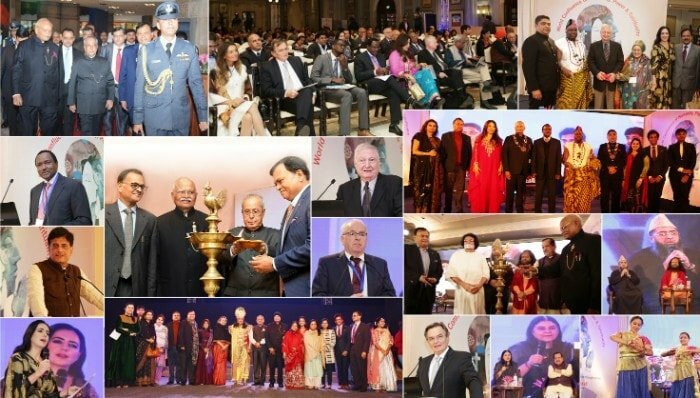 May this event help us benefit from the wisdom shared by the enlightened and ignited minds from India and abroad; may we re-establish our contact with our rich heritage; may we imbibe the learnings; may we pass on this learning to others and the next generation; and may we practice what we preach. I wish the event a grand success, and may this event grow from strength to strength and rise in stature in the coming years. 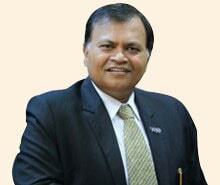 I recall with much satisfaction the background and excitement of the first Confluence when our Chairman, Dr. H.P. Kanoria, unfolded his vision of peace, harmony, love, righteousness and caring for mother Earth, while having faith in one’s religion and respect for other religions; thereby, awakening inner power and igniting selfless dedication for common welfare and growth. The Chairman attached considerable importance to the awakening of women reflecting God’s love. 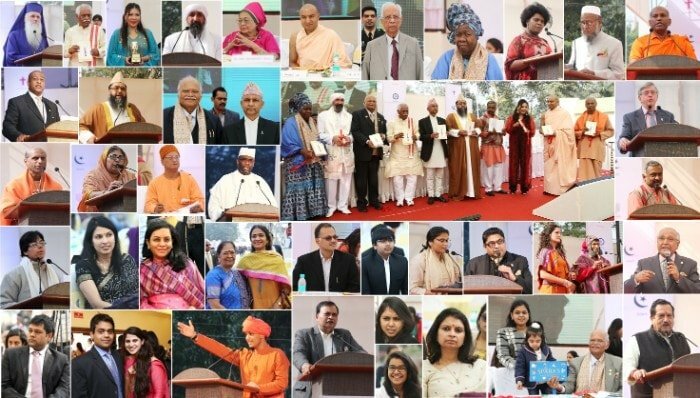 As we move ahead, it is my privilege to inform that this confluence has attracted over 1000 speakers so far from different faiths and vocations, from different parts of the world, including humanists and luminaries, dignitaries and professionals, leaders and learned men. They all came and utilized the confluence platform to convey their thoughts on how to enrich the mind, spirit and body in its integrity and to make life more meaningful and purposeful. So far, from January 2010, over 10,000 students have participated in the events. We believe that the youth holds the future and it is them who will make a difference. 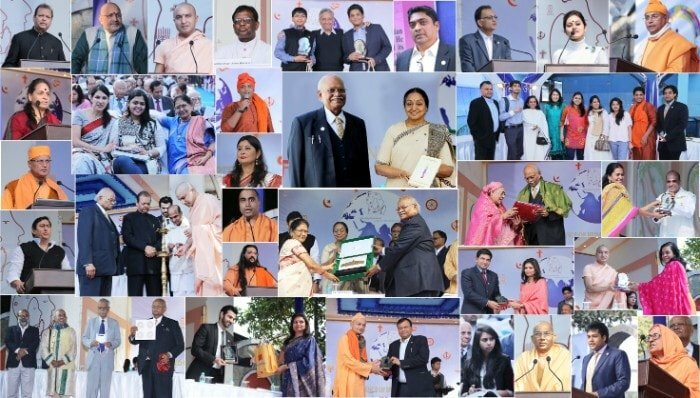 We approached over 40,000 schools in India and abroad, giving them an edifying theme on spiritualism for an essay competition for which we received a hearty response. This was classified according to different age groups.The successful candidates were awarded cash prizes and their essays were printed in our magazine. Our effort has been to inspire the youth to tread an ascending path which leads them from the human to the divine. We believe that true humanness consists in cultivating our spirit that gets reflected in intellectual, morality and humility. These impulses act as motivations and deepen our relationship with fellow human beings. Hence, in every conference we organize a debate on spiritualism with a focused theme where several schools have participated. We have initiated hundreds of physically challenged children who take part in the ‘Sit and Draw’ competition which brings out their creativity and lightens their burden to carry on their journey with a smile.We are thankful to the reputed artists who act as judges and spend their day with the children. About five thousand students have become members of this confluence who are regularly updated on spiritual articles. 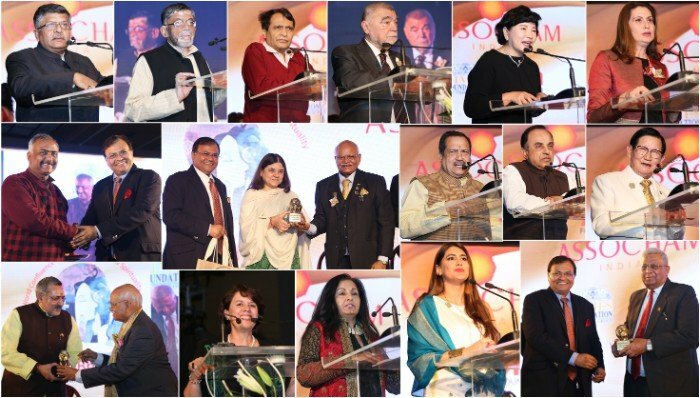 Awards from 2012 to be conferred for exceptional contribution to Humanity in the fields of Education & Literacy Excellence, Health Care and Social Service. We have also been able to make this conference accessible to a wider audience by documenting the proceedings of all the events in a friendly coffee table book form which is easy to handle. 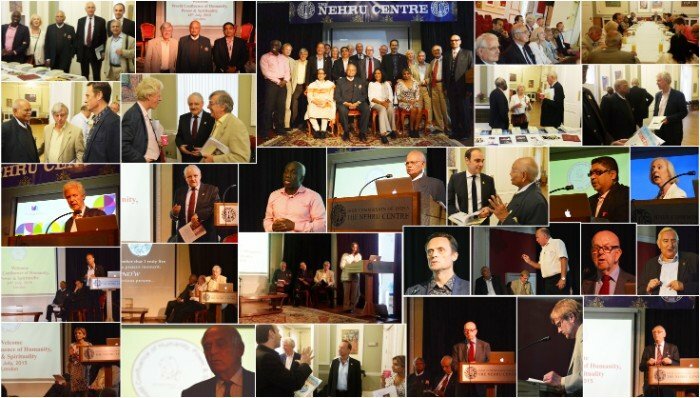 The messages of all the distinguished speakers have been circulated to thousands of people all over the World. 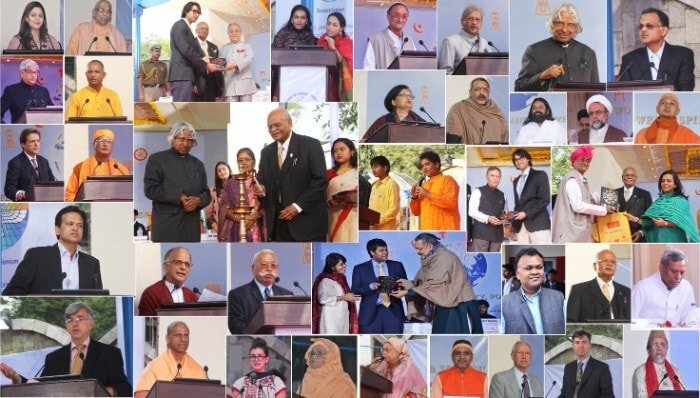 It is a matter of pride and honor to mention that our mission and vision have been greatly applauded by the President of India, the Prime Minister and several Union Ministers, Religious Leaders including His Holiness the Dalai Lama, Secretary General of Missionaries of Charity, Vice Chancellor of various universities from India and overseas. We have had a positive response from the Presidents of several countries including the Secretary General of the UN and many more. Our journey will continue & we shall keep on marching, holding the flag of the confluence high. A world free of struggle and poverty, filled with happiness, peace, prosperity and good health. A vibrant world with empowered and ignited minds. 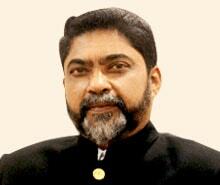 A nation with growth and development imbibing humanity and spirituality in all facets of everyday life. To serve society and humanity with a view to bring about attitudinal change by following a path of righteousness in fostering peace, harmony and brotherhood to build a sustainable society. To live and let live in a united world encompassing and respecting all other religions and human values while embracing economic growth for the development of the Nation. 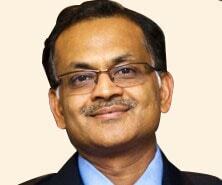 SREI Foundation is a Public Charitable Trust, founded in the year 2001. 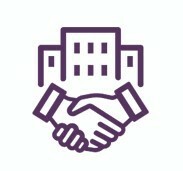 The Trust has been registered under section 12 (A) of the Income Tax Act and also obtained certificate exemption under section 80 (G) under Income Tax Act 1961. Providing education that prepares students for leadership and social responsibilities. Initiating programmes on organic farming of fruits and vegetables for a cleaner, and greener environment. Initiating family welfare programmes with emphasis on domestic violence, socially deprived and differently abled people. Identifying fresh new talent and promoting and encouraging their potential for better quality of life. Initiating schemes for participation of women in programmes to develop their leadership and entrepreneur skills. 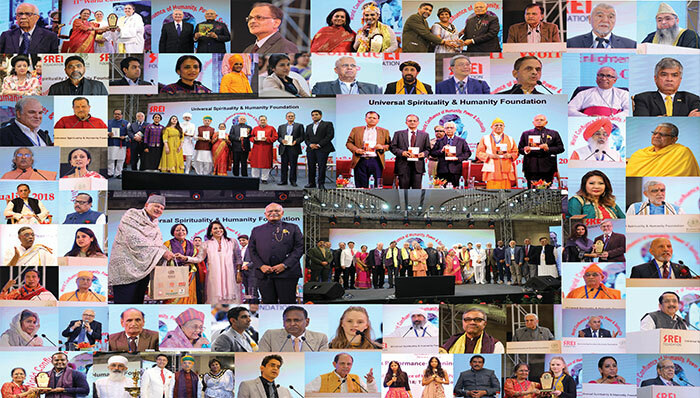 The SREI Samman Award for outstanding service in the field of education, work for the (deprived and economically handicapped persons) contribution to health, development and research & literary excellence. 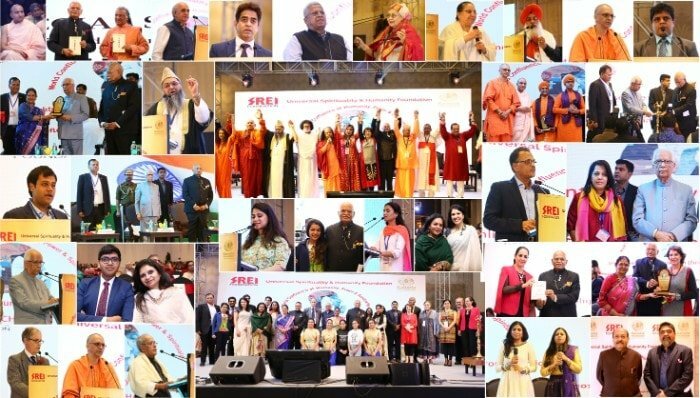 SREI Foundation is engaged in multifarious activities with a dynamic approach towards creating value, and developing building blocks for the nation. SREI Foundation has been working in the field of education with a spur to nurture talent & opportunity among the youth of our nation. In view of the steep upswing in global demand for accountants, the Foundation has collaborated with Chisholm Institute of TAFE, Victoria, Australia, for conferring Postgraduate diploma in Accounting and Financial Control. •The foundation has been extending support to deserving students for preliminary as well as higher education, by paying their school fees, lodging charges, transportation, stationary etc. •The curriculum offers excellent opportunity to its students for a lucrative career in India and an option to proceed to Australia for further studies and employment abroad. •Sponsoring 81 meritorious and financially weak students of the society mainly related to staff / employees. •Provided financial assistance to 41 students through various educational institutes. •The Foundation has obtained affiliation from Punjab Technical University, Jalandhar in order to impart specialized and job oriented professional courses such as MBA, BBA & BCA. 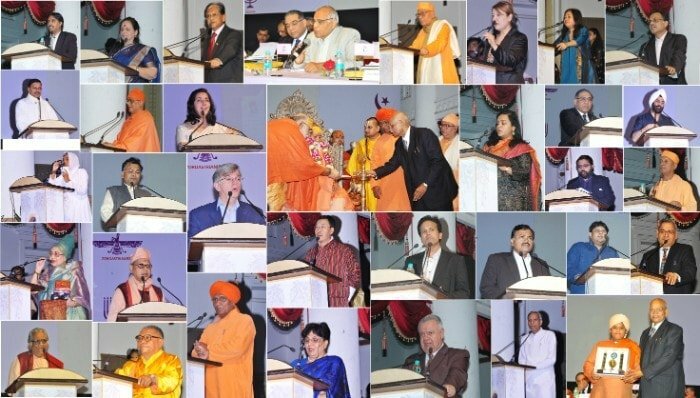 •Promoting Sanskrit language in India & abroad in association with the St. James School, UK. 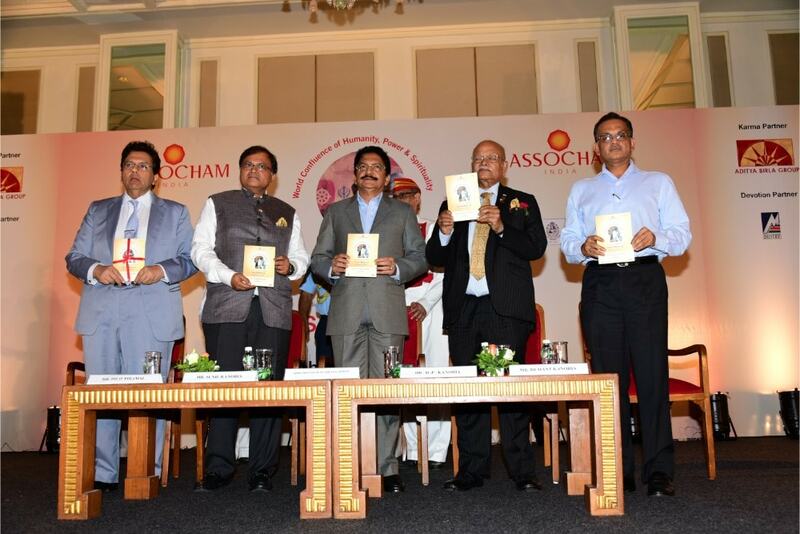 •Conferring the SREI Samman Award for outstanding service in the field of Education, Research & Literary Excellence. With a bent towards philanthropy and an urge to expiate the underprivileged, SREI Foundation has provided financial assistance to several individuals in need fortreatment of critical diseases and for creating awareness in the field of general healthcare. Conferring the SREI Samman Award for outstanding service in the field Health care & treatment. 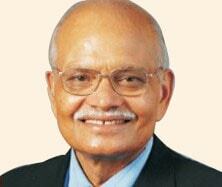 SREI Foundation endeavours to alleviate the troubles of the marginalized people of our society. It has provided financial support for marriages and other social obligations for those in need. Besides, it has promoted cultural, social & environmental awareness through various programmes and seminars and distribution of books. • Training of local people for Skill Development. • Development of green belts in Infrastructure Development. • Running of Primary Health Care Units. • Contribution to the NGO’s to achieve their missions. 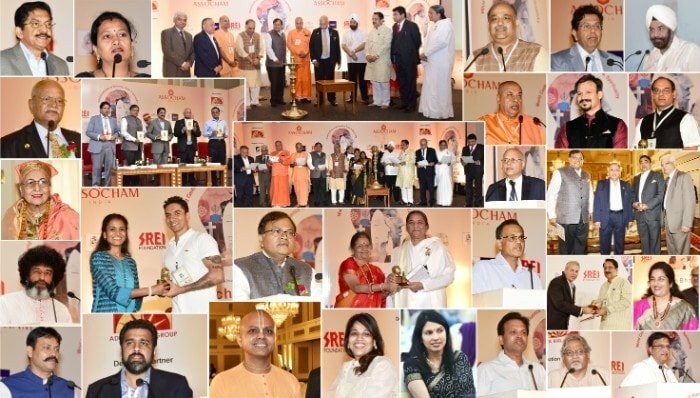 • Conferring the SREI Samman Award for outstanding service in the field of Social Development. Provide all around mental and spiritual health by organizing camps, seminars, exhibitions etc. To build, maintain, renovate old age homes.